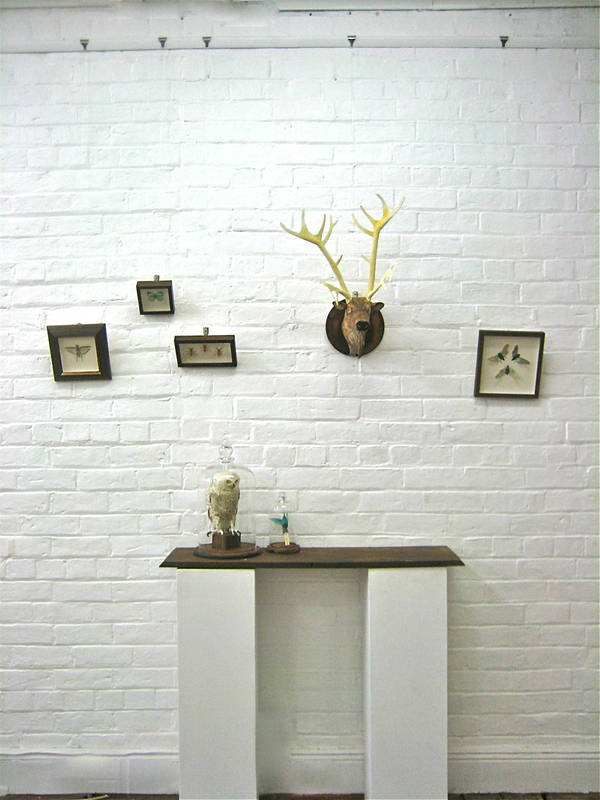 So here’s the thing, I’m super fussy about stretcher arms, plinths and framing. Really, seriously. I take all my work to be framed at one particular place and after some time doing so I got to know one of the framers there – Sheridan Jones. She’s brilliant. She’s also a print maker, possibly the most fastidious of all art forms, which makes total sense vis a vis attention to detail and careful, professional presentation. I got to see her work in the flesh a few months ago at the Castlemaine Contemporary Art Space and loved by her paper sculptural forms. Animals made of paper that had been etched and coloured, and created this dynamic sense of transition from page to object. Like creatures stepping out of a book. Or better still, a subtle play on the idea of camouflage and pattern in feathers and fur, where forms and colours and lines are inscribed into the material body and yet also, are the material body. I chatted to Sheridan about her work over the last couple of weeks. 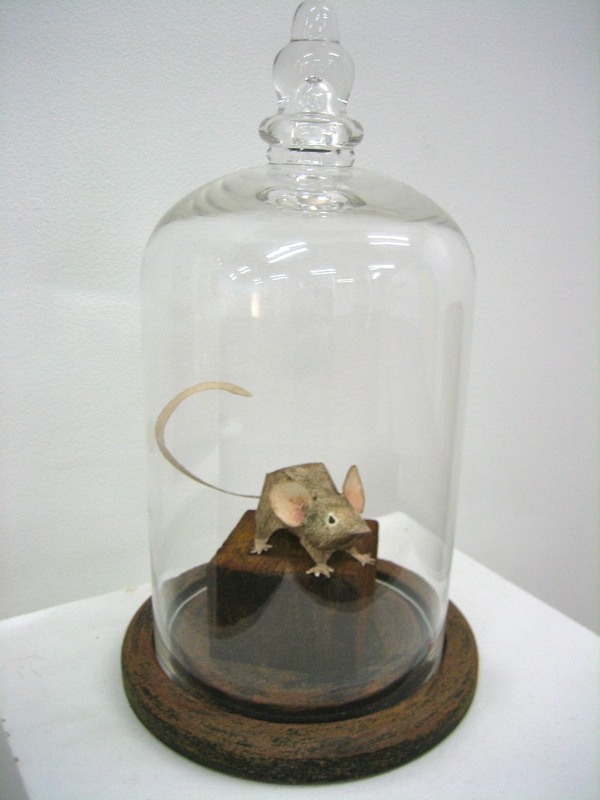 You recently exhibited a body of work at the Castlemaine Contemporary Art Space where you had these fabulous paper taxidermy animals. What inspired you to take the traditional 2D focus of printed paper into a 3D format? My true loves in art have always been sculpture and print, so after years of working with these themes (natural history, archeology, anthropology la la la) as etchings I decided it was time to develop a way to turn the prints into the full bodied creatures (in this case) that they were created to depict, so it’s all about mixing my loves and enjoying the processes doubly. That makes me think about how archeology and natural history and all that sort of stuff is really about the marks of time. About the archive of past events. I could see how that would have a resonance with print making and how the marks that you end up with on paper are records from past activities. How closely do you study the animals you use? Do you like to get things like feather patterns correct or is there a leeway for artistic intuition and freedom? Also, is the anatomy important because it must be pretty hard to fold the paper into the right bodily shapes? i love that “the archive of past events”! yeah for me it’s the marks that time leaves behind that i love (from rust to coffee rings). As far as using animals in my work? i really love anatomy and i’m not satisfied unless i feel like i’ve put forward the amazing intricacies of a creature’s features and patterns, be it on a feather or a shell. i want others to see what i love about that creature. the metallic breast feathers on a hummingbird are amazing! but, here is the but, i don’t always play it true to colour, most of the time but not always especially with the butterflies. as far as the paper allows i do like to keep them as accurate as i can without too many folds and overlays to distract from the finished product. Yes – that metallic shimmer on hummingbirds is just brilliant. Nature conjures up the most incredible beauty sometimes, it’s mesmerising. It’s interesting when you think about how birds and other animals, including insects, they all see differently to us. We see those colours and those patterns, but to a, say a budgie, they see other things because they see more – a budgie sees ultravoilet patterns that we, without technology, have no idea are even there! So, you grew up in Castlemaine right? How do you think your time as a developing human being was impacted by your location? You live in Melbourne now, do you feel a difference in your creative energies between the two regions? i actually grew up in the middle of nowhere (no wonder i’m such an anti social creature at times!) and moved to castlemaine when my boy was a babe, but i do believe that your surrounds impact on you greatly. it was when my son was little and i had taken him out of school to travel australia that i really started getting stuck into all my creative impulses again. everyday my bedroom opened onto a new and delicious view of nature, without the distractions of the mundane everyday stuff i re-engaged with my creativity. now here i am in melbourne and i must say that i love what i do so the main difference between castlemaine and melbourne is that many more doors have opened up down here, the busier i am the more of a roll i get on and new ideas and inspiration flow much quicker, it’s just a shame i don’t have the time to follow them all. Yeah perhaps that’s a factor – the city has so much going on, and so much hectic energy to stimulate you but you’re left with such little time or space to actually produce. And the country is more relaxed with time and space to work but that reduced pace and activity can maybe limit the rapid stimulation of ideas. I’m feeling lucky because having recently moved to the region everything seems exciting and fresh and engaging. With technological advances in very recent times I’m way more closely hooked in to the hive of activity in the rest of world than people living even inside of cities were as little as 10 years ago. So what are you working on now? What’s stimulating your creative juices at the moment? well i’m getting ready to go big scale with the printed animals, i really want to create a hunters den/mad scientist/quirky botanist laboratory style installation. 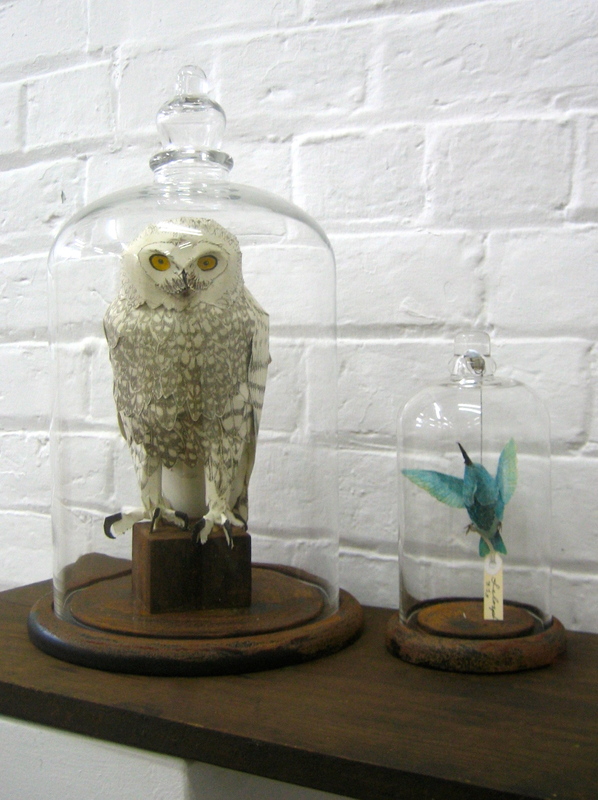 mounted heads and hide rugs with a few odd bits in glass jars thrown in here and there. besides that i’m working on some artful practical objects that i hope to be able to source stockists for. as you know i want to do my masters next year and it would be great if i could work from home during that time. That sounds brilliant. It makes me think of how nature is really only a label we apply to the ‘real’ world. We try and separate it off and categorise it and treat it like it is something different from us, in glass vials, in national parks. If you have a lab set up where all the ‘nature’ in it is actually made, all paper models printed and drawn and etched, that’s like a strong comment on that whole idea. I would love to see that. exactly, it would seem that you have the words that i do not. it’s partly why i find the whole enlightenment period so hilarious and intriguing, it really exemplifies how big a human’s ego is and therefore how separately we set ourselves from nature. that could open up a whole new kettle of thought/fish. Well, thank you so much for your time Sheridan. Much appreciated. Let us know when you’re showing your work again! thanks kent it’s been fun to come to the computer knowing there is a question to mull over not just research to do or bills to pay! ooh – and just as I finished the interview I received an invite to Sheridan’s next show in the Golden ArtNet inbox. If you’re in the city you should check it out. 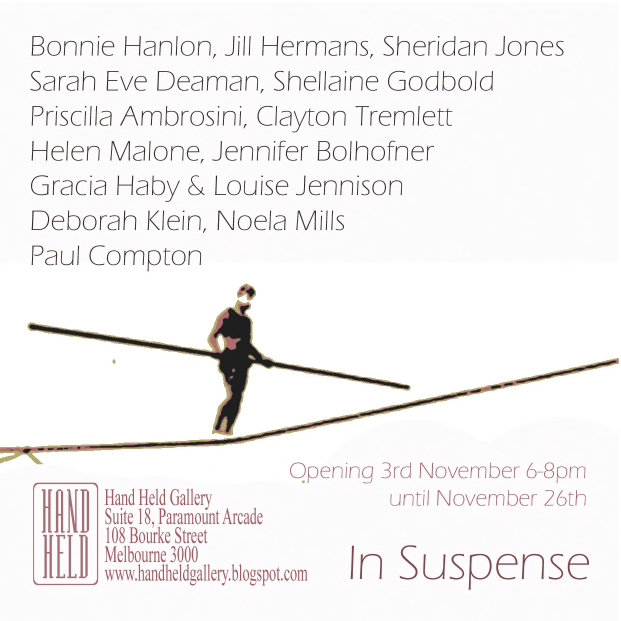 Also featuring Deborah Klein who we mentioned in a review of the Art Gallery of Ballarat just recently here. Tags: Sheridan Jones. Bookmark the permalink.